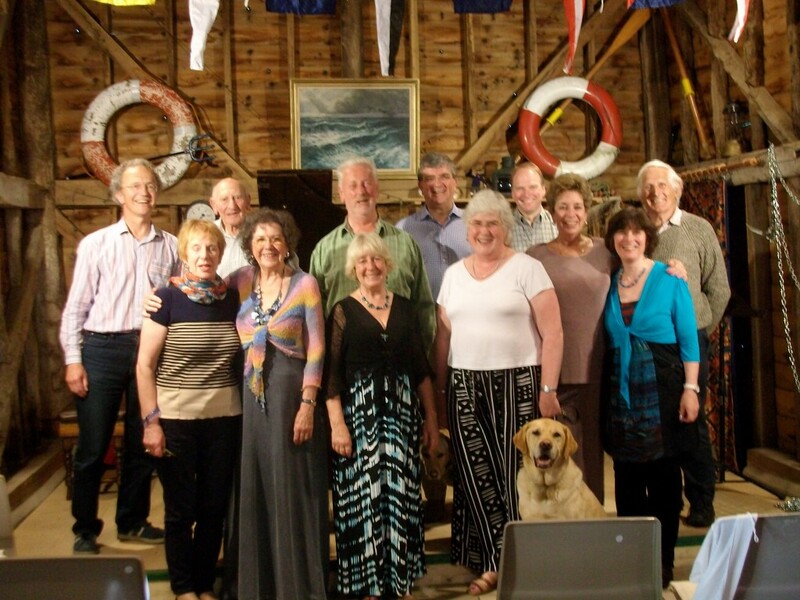 Annual Music at Ansells Weekend 2013 a great success! Our annual music festival has acquired quite a following since we started it in 2009, and the 28th-30th of June saw our 5th Summer Weekend take place here at Ansells. This year we were delighted to welcome eminent actor Julian Glover, who joined Stephen Varcoe at the opening concert on Friday night – songs, poetry and readings about The Sea, with everything from dramatic shipwrecks to end-of-the-pier shows covered along the way. On Saturday night Crispian Steele-Perkins, one of the finest baroque trumpeters in the world, presented a fascinating and sometimes very amusing programme of music and stories about the trumpet and its history, demonstrating on a few of his dozens of instruments just why he has been at the top of his profession for so long. And as usual on Sunday our eight resident singing students gave an entertaining teatime recital of songs they’d prepared with Stephen during the course of the weekend sessions – a great way to round off another splendid weekend. Next year’s festival will take place from Fri 27th-Sun 29th June – more details next spring, but put it in your diaries now! Singer Stephen Varcoe and his wife Melinda have been running extremely successful Song Workshop Days at Ansells Farm, Alphamstone for ten years. And this summer for the fifth time they’re presenting a whole weekend of musical delights, in conjunction with workshops for solo singers, all taking place in the barn at Ansells. The weekend begins with “Full Fathom Five” at 8pm on Friday June 28th, a celebration of the sea in songs and words, with baritone Stephen Varcoe & distinguished actor Julian Glover and pianist Christina Lawrie. Programmes for this are available from Ansells at £13.00, to include a glass of wine. Why not bring a picnic and enjoy it in the garden before the concert, from 6pm? On Saturday night June 29th, also at 8pm, we welcome world-famous trumpeter Crispian Steele-Perkins with accompanist Leslie Pearson, and his hugely entertaining show “The Trumpet shall Sound”. Tales about the trumpet’s history and Crispian’s eventful career as an international musician, lots of music, plus surprise contributions from Stephen Varcoe, mean this is going to be an evening full of fun! Programmes are on sale from Ansells at £13.00, to include a glass of wine. Again, any concert-goers who want to enjoy a picnic beforehand are welcome, from 6pm. Lastly, the informal concert by course participants will be on Sunday June 30th at 3pm. 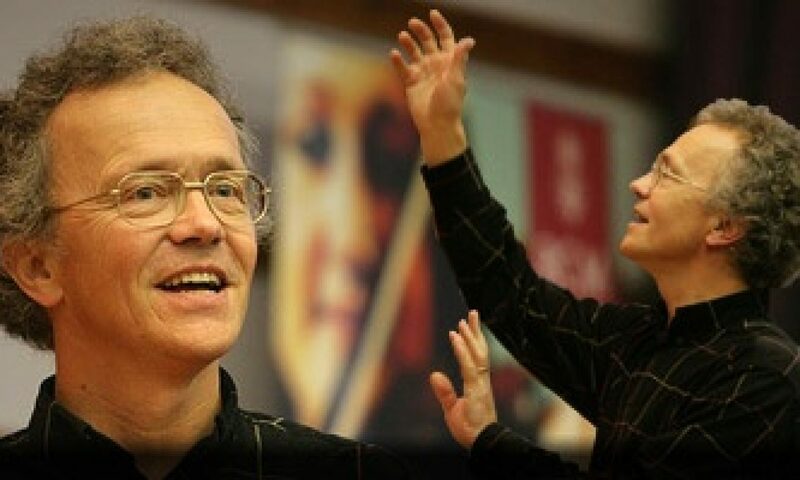 This is a chance for each of our course participants to perform the songs on which they’ve been working with Stephen, accompanied by pianist Susi Morrow, and their choices will reflect the seaside spirit of the weekend. Tea and plenty of homemade cakes (which are the real reason for the popularity of our workshops!) are included in the admission cost of £5. This promises to be a really special weekend, and space is limited, so book your seats for these musical treats as soon as possible; and for those who choose to come to all three, we offer a special price of £26.50, a saving of £4.50! Contact us at stephen@varcoe.com for more details of this day, or to be added to the mailing list for future workshops. Song Workshop at Ansells Farm, March 2013: Sensational Songs! Our theme for the March workshop is the Five Senses – taste, touch, smell, sight and hearing. We invite you to search out any pieces inspired by sensory pleasures or pains – and that covers most of the vocal repertoire, at least those songs which have anything at all to do with life and being human. Scents redolent of the countryside or nostalgic for the past; city bustle, rural peace or battlefield clarion calls; the caress of a lover or the touch of a ghostly hand; drinking songs and feasting for stomach or eyes – the potential is almost endless. Are we being self-indulgent in focusing our latest workshop on babies, children and family life? We should come clean and admit that impending grandparenthood may have influenced our choice this time, but then why not? There’s a wealth of material in the vocal repertoire which reflects the love of parents for children and vice versa; lullabies, nonsense songs, and fairytales both dark and cheery; Victorian tales of brave orphans and selfless daughters, tender tributes to young mothers, stories about naughty children, pious hymns about good ones. Composers have dedicated music to their own children, and been inspired by them, as well as writing with other peoples’ in mind. Whether we like it or not! Saturday October 20th, ‘Tales of the Unexpected’. With Hallowe’en just around the corner, visions of ghosts, gods and all things Gothic provide the subject matter for our latest Song Workshop. Whether it be a mystical experience, an eerie folk legend, a story of mischief wrought among men by the immortals, or something altogether darker and more macabre, let your imagination conjure some spells and incantations in song form, and bring them along to chill the blood and tingle the spine. If vampires and witches are not to your taste, you could lighten the mood with the cherubs, fairies and sprites which abound in songs through the ages. Or perhaps offer a helping of heavenly harmony? Whatever aspect you choose, there is plenty to explore here, and we look forward to some interesting ideas. Our 4th annual music weekend was the other major national event of this summer, taking place as it did between the Jubilee celebrations and The Olympics! Friday night’s opening concert saw Stephen Varcoe and the marvellous soprano Patricia Rozario, with pianist Christina Lawrie, presenting a sometimes hilarious, sometimes poignant programme of words and music ‘All Creatures Great and Small’. Then on Saturday world-renowned chamber ensemble The Fibonacci Sequence played music by Mozart and Bach, ending with Poulenc’s enchanting ‘Babar the Elephant’ narrated by Stephen Varcoe, for many the highlight of the entire weekend. Sunday afternoon’s tea concert, given by the singers participating in the daily workshops, rounded off another wonderful, intense musical experience; the sun shone for us, as it always seems to do, despite the dismal weather this summer, and all agreed it had been a tremendous few days. As part of our Ansells Song Workshop Weekend we are promoting three concerts on the evenings of June 29 and 30, and the afternoon of July 1. The first, entitled All Creatures Great and Small, is a partly serious, partly hilarious safari through the animal kingdom in words and music, featuring the wonderful soprano Patricia Rozario, Stephen Varcoe (baritone) and Christina Lawrie (piano). The second concert will be given by the chamber music ensemble The Fibonacci Sequence, who will be playing Mozart and Bach, and Poulenc’s highly entertaining Babar the Elephant, with Stephen Varcoe narrating. The third concert on the Sunday afternoon will be given by the participants on our singing course. Prices are £14 for Friday, £10.50 for Saturday and £5 for Sunday, or £25 for all three. Please email stephen@varcoe.com for bookings and further information. Saturday February 25th: This time the theme is ‘Old & New’, inspired by the turn of the year. Think of past pleasures and future adventures, dawn and dusk, birth and death – all sorts of beginnings and ends find expression in songs. Search out some interesting pieces and bring them along. Also A DATE FOR YOUR DIARY! Our 4th annual Ansells Summer Music Weekend will take place from Friday 29th June – Sunday 1st July. More details soon. As always, contact us at stephen@varcoe.com for information or to apply.